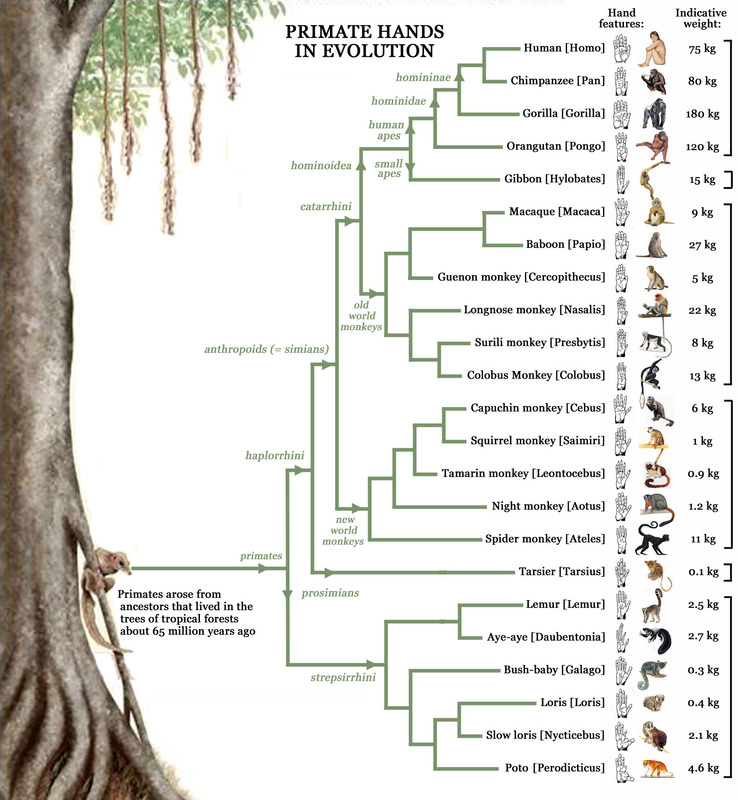 In order to understand the biological significance of hand features (+ how these relate to our behavior), it is very interesting to take a closer look at how the structure of the hand varies between species inside the primate family tree (see picture above). 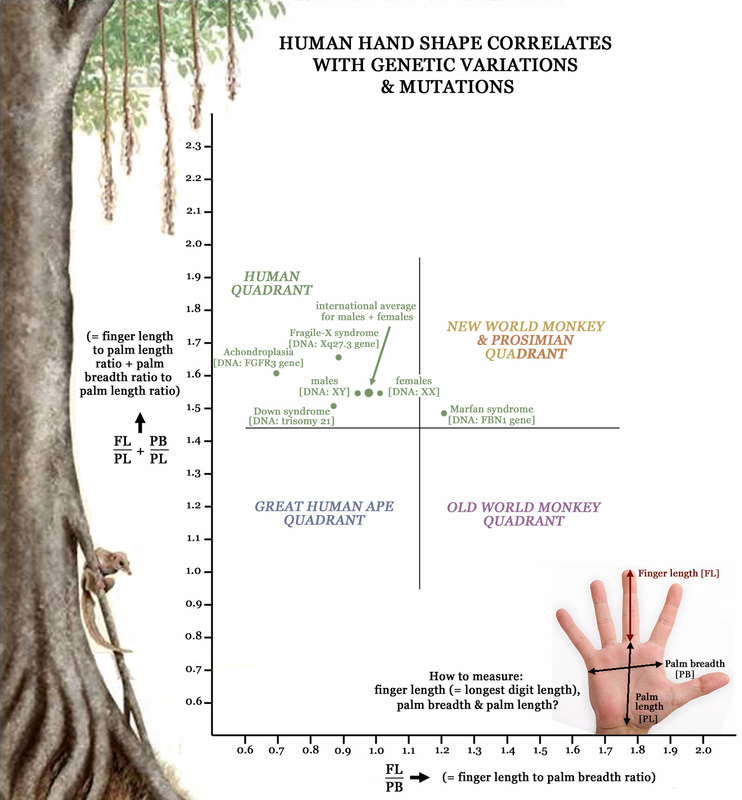 Interestingly, it appears that all primate species have their own unique hand characteristics and it is even very well possible to recognize solely through the hand to which primate sub-family a primate species belongs! 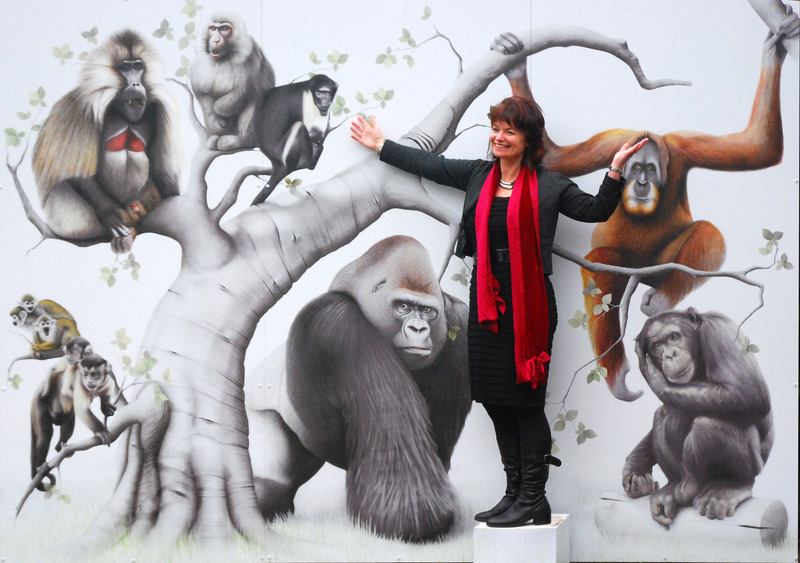 Primate palm reading: the primate hands family tree! I have done some additional research on how the human opposable thumb (which is characterised by it's setting, length & perfect opposability) relates to the issue of 'self-awareness'. The result is quite fascinating: the so-called thumb-to-pinky ratio (= 1D:5D digit ratio) appears a fundamental marker for human self-awareness in the primate family! The National Geographic video below demonstrates how the factor capability of 'self-awareness' has been studied in primates via the so-called 'Mirror Test' (which has been used for young children as well in order to assess their ability for self-recognition). 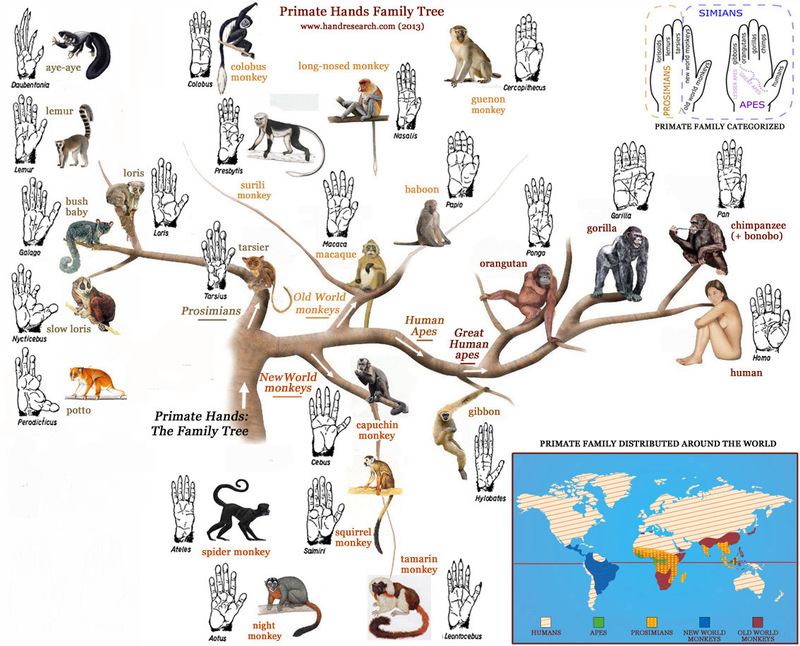 The 1st picture illustrates how 'hand shape' correlates with variations in primate DNA (in terms of genetic distance of individual primates species to human DNA). The 2nd picture demonstrates how 'hand shape' correlates with genetic variations & mutations in the human genome. I read in an article I found online that hands which have the same fingerprint on all ten fingers are called monomorphic hands and that this is an animalistic and/or simian trait. Research has shown that monkeys have ridge patterns of the same type on all the ten fingers. This is an animalistic trait. Such hands are called monomorphic hands. It has been observed that about 10 to 20 percent of all human beings have monomorphic hands. 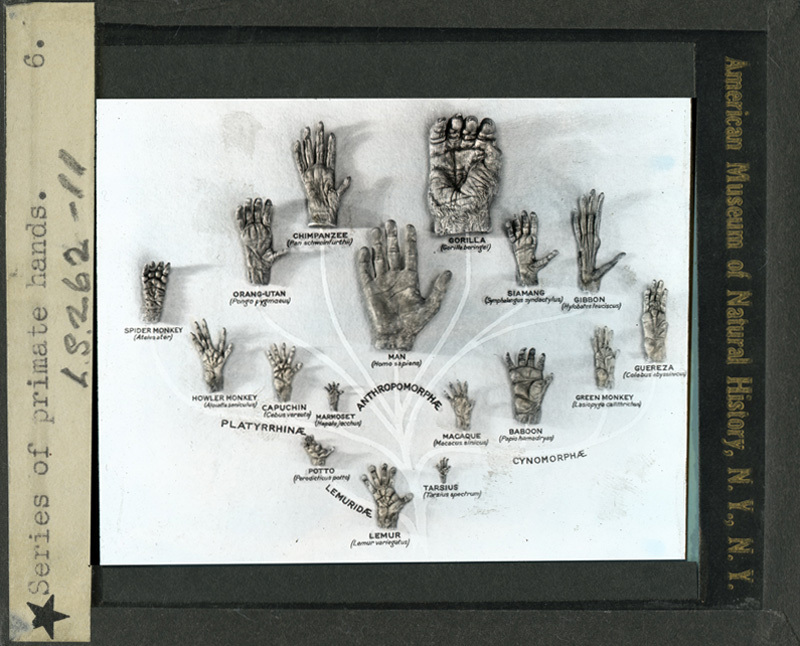 Dr. Charlotte Wolf concludes that monomorphic hands have simian characteristics, pointing to an abnormality of some kind in a person with hands of this type." Abnormality? In 10 to 20% of people? Sounds wrong. Are that many of us messed up? Does this figure into your model at all? 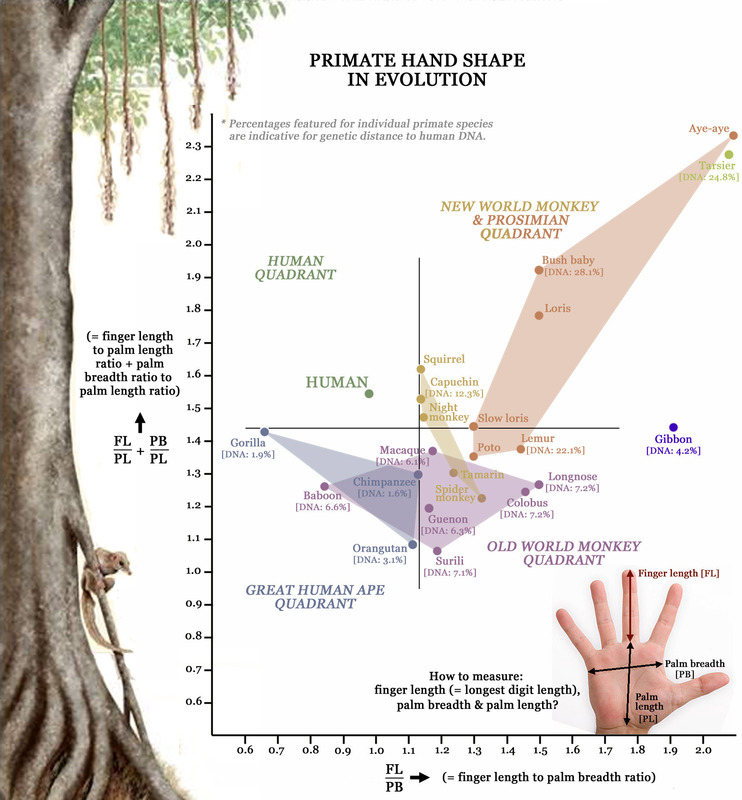 This is an interesting thread for me as I have the fire hand shape with numbers that put me right on the edge of the Great Human Ape quadrant (1.43 / .94 ). And I have double simian creases. And I have 10 whorl fingerprints. Should I change my name from Mooky to Monkey? Is having very symmetrical hands (10 whorls, double simians, double memory loops, double serious loops, double girdle of venus',etc.) another sign of monomorphism? Well, first of all: the info that you shared regarding 'monomorphic hands' is true; and I could add for example that in some chromosomal disorders (such as: Down syndrome where about 60% have 10 loops) and in some congenital defects it is known to be more common. However, please be aware that 'monomorphic hands' are usually more common in males than in females: in some populations percentages of around 20% have been reported for males. So, having 'monomorphic hands' should definitely not be associated with a 'minor physical anomaly'... such as the simian line! But regarding your summary of other 'mirror-like' hand featured in that you have in both hands, I don't think that one should make likewise associations regarding a comparison between the 2 palms. And actually, we have a guideline by doctor Eugene Scheimann available that more clearly shows how to understand the nature of monomorphic hands more properly. "Dr. Scheimann observed that loops and whorls were the more common fingerprints and tented types were the more common palmer patterns. He noted that if one lacked any three of the five more common characteristics, one would be more predisposed to some congenital defect. Those "normal features were: 1) no patterns on the thenar and hypothenar prominence (mounts of Venus- the base of the thumb and Luna on the hypothenar edge or percussion of the hand); 2) do not have monomorphic hands (monomorphic hands have the same fingerprint on all ten fingers); 3) the ATD angle is around 45 degrees; 4) the average loop ridge count is from 12 to 14; and 5) the AB ridge count is around 34." Maybe you do have feature 3, 4 and 5? Mooky, for the palm it is relatively normal to seen many likewise features in both hands; so I don't think that is a significant observation. By the way, thank you for sharing your hand shape quadrant coordinates (1.43 / .94 ); but those coordinates are rather typical for a normal male, because your coordinates are located most closely to the international 'male' average... and thus I would associate this with a healthy masculine energetic male with a rather normal fire hand shape! 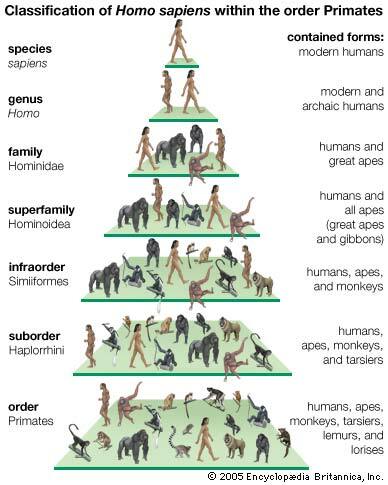 While apes & monkies typically have the 'simian digital formula' (also known as Sorrel's digital formula): 3 > 4 > 2 > 5 > 1. Mooky, maybe it would be an interesting expercience for you to also compare the length of you pinky finger with your thumb... because if you do have the 'human digital formula' that would also confirm that your hands are rather typical for a human male! 1. Biology . having only one form. 2. of the same or of an essentially similar type of structure. So, in that regard, it might be said that my two hands have the same structure being very much alike. I can put my hands together starting at the percussion and as I roll them together into the prayer position I can see the lines on each hand matching up perfectly as I go. It is only the minor influence lines that differ much. But, as to the normal features, my ATD angle is about 39 degrees I guess due to my having the long palm fire hand shape. I don't have loop fingerprints so not sure how to calculate that one. My AB ridge count is hard for me to ascertain as I tend to have dermal ridge hypoplasia (low ridges) and a secondary crease/line crosshatch pattern in that general area. But I think the number is around 30-32. So, probably normal. As for the 1D:5D ratio my thumb is longer but exactly how much is hard for me to measure. Finding the point on the base crease of the thumb to measure from is a bit tricky. Somewhere between 1.08 and 1.1. Which puts me in the 3>4>2>5>1 group. Thanks for sharing those additional details; I think these confirm that in your case the monomorphic fingerprints are not part of a larger 'congenital' pattern in the dermatoglyphics. And yes, the palm in a fire hand shape is more likely to have a relatively small atd angle; I can confirm that 39 degrees is indeed within the normal range, just like the a-b ridge count of 30-32 is also normal. So, if you have normal sized whorls than I am sure that you would probably qualify for 3 out of 5 features listed in Scheimann's list... which indicates that your monomorphic whorls are nothing to worry about. By the way, I could add here that monomorphic whorls are likely (up to about twice) more often seen in males than in females (monomorphic loops are likely likewise or even slightly more common in females). I guess I don't know what a normal sized whorl is. The triradii on mine tend to be way off on the side of the finger in many instances. Several are almost impossible to find unless the right amount of light shines through the skin at just the right angle. I used to think they were extralimital but I am not sure that is correct since I actually pretty much found them all. I was once fingerprinted for a security clearance and the person doing it wondered if I had filed them off. (No). For a couple I can just barely see the ridges that come from above and below start turning outwards. But I would be hard pressed to identify the exact center point of these. Again, the hypoplasia does not help the situation. I am not worried at this point in my life about any congenital issues. I am more interested in the elemental classifications etc. I was interested to read about how whorls are viewed as being related to the Air element whereas my hands are Fire shaped. But, that is another thread. mooky wrote: Should I change my name from Mooky to Monkey?